Generate cofeature (feature by sample) matrices. 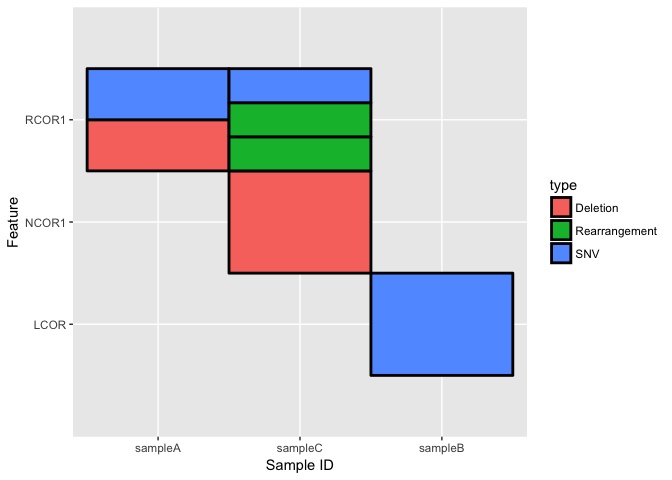 The package utilizes ggplot2::geom_tile() to generate the matrix allowing for easy additions from the base matrix. type: Type associated with the feature-sample. Notice how we are NOT restricted to having only one type per feature-sample. 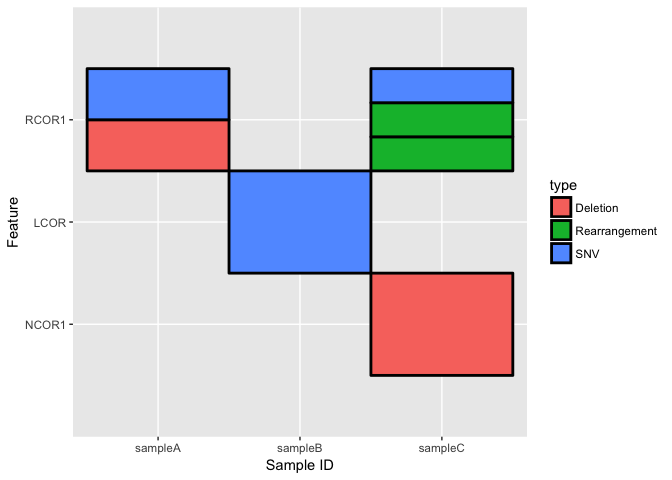 In other words, a feature-sample may have multiple types and plot_cofeature_mat will display all of the types. fill.colors: Custom colors for each type. feature.order and sample.id.order: Custom ordering of features and samples respectively. tile.col: Add borders around each type.